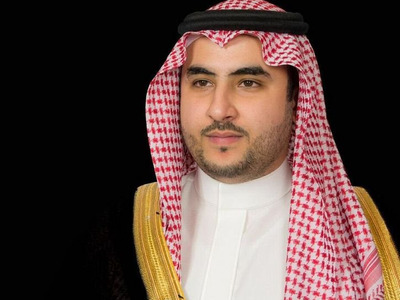 Prince Khalid bin Salman al-Saud is the younger brother of Saudi Arabia’s famous Crown Prince Mohammad and the son of King Salman of Saudi Arabia. He is Saudi Arabia’s ambassador to the US, and recently bought a $US12 million home in Virginia, according to a new report. He’s also spent $US8 million since becoming ambassador last year, a bill that includes costly trips on a luxury 767 jet. Saudi Arabia’s ambassador to the US, Khalid bin Salman al-Saud, was revealed on Thursday to have purchased a $US12 million mansion outside Washington, DC, last year. 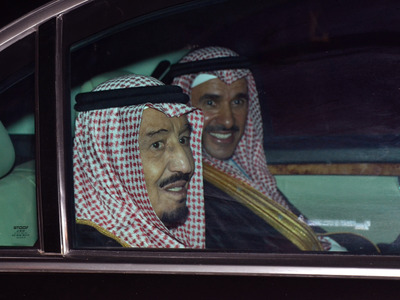 That kind of spending is nothing new for the 28-year-old al-Saud. He’s a member of Saudi Arabia’s royal family – his father is King Salman of Saudi Arabia, and his brother is the kingdom’s Crown Prince Mohammad, the millennial future leader who visited President Donald Trump in Washington earlier this week. 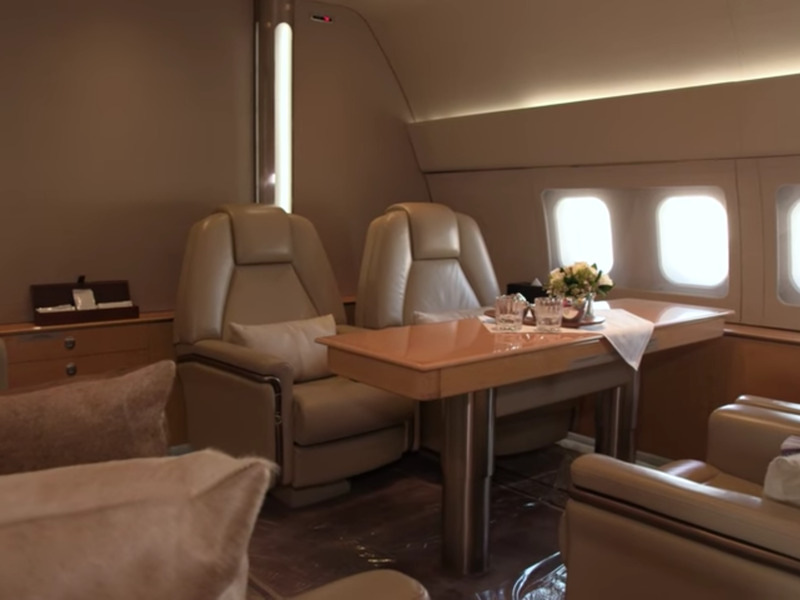 The Daily Mail also reported that al-Saud has spent $US8 million since he became ambassador last year – a bill that includes $US30,000-an-hour trips on a luxury 767 jet. 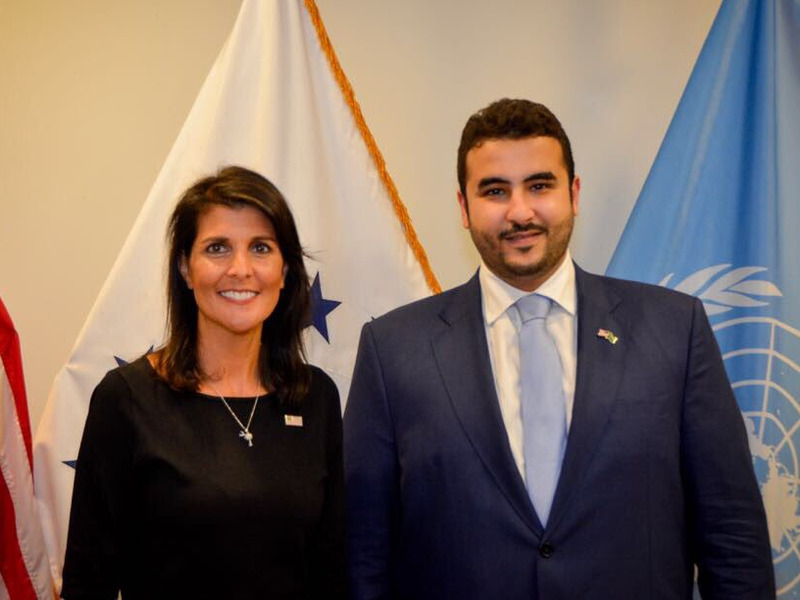 Khalid bin Salman al-Saud is Saudi Arabia’s ambassador to the United States. 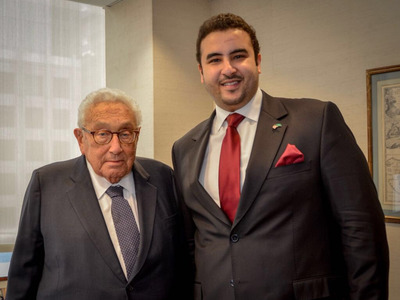 The 28-year-old is a member of Saudi Arabia’s royal family — he’s the son of King Salman of Saudi Arabia, and his older brother is Crown Prince Mohammad bin Salman. 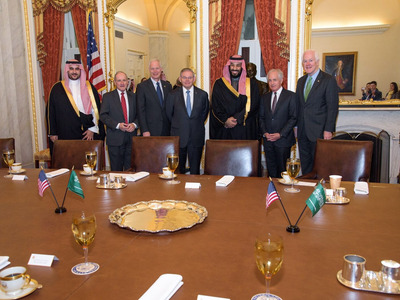 Twitter/Saudi EmbassyKhalid bin Salman, left, and his brother, Crown Prince Mohammad bin Salman, met with US senators this week. 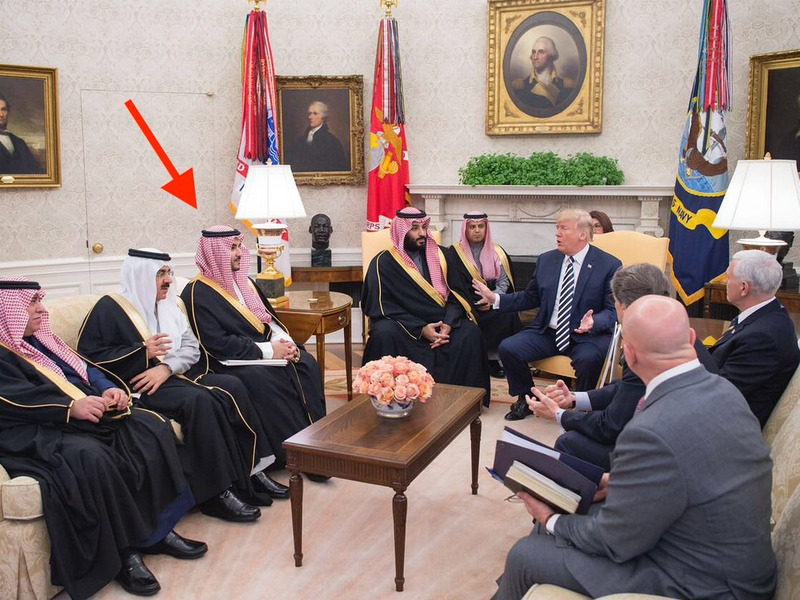 Ambassador al-Saud was in the room when the Crown Prince met with President Donald Trump this week. Al-Said is used to a lavish lifestyle. His father King Salman, who became king in 2015, has an estimated net worth of $US17 billion, according to The Washington Post. 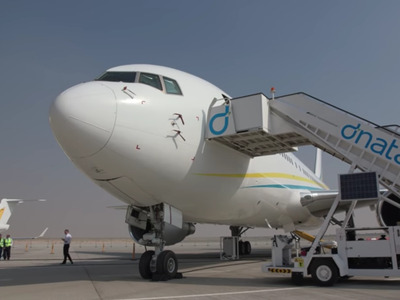 Salman’s spending habits in oil-rich Saudi Arabia are widely known — on one plane trip he was once reported to have taken 506 tons of luggage, including a pair of Mercedes-Benz limousines and two electric elevators. Al-Saud’s life has changed dramatically since being named ambassador in 2017. Just four years ago, he was a fighter pilot with the Royal Saudi Air Force. Now, al-Saud is reportedly living in an eight-bedroom mansion outside of Washington, DC that he bought for $US12 million, according to The Daily Mail. 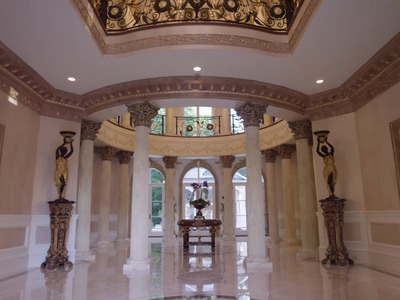 The sprawling mansion in Great Falls, Virginia, is known as Le Chateau de Lumiere, or the Palace of Light. Al-Saud reportedly bought the house two months before he became ambassador in February 2017, while he was still a student at Georgetown University. 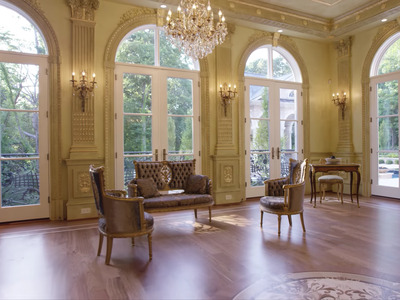 Chateau de Lumiere was named the Home of the Year at the 2007 Great American Living Awards, according to The Washington Post. 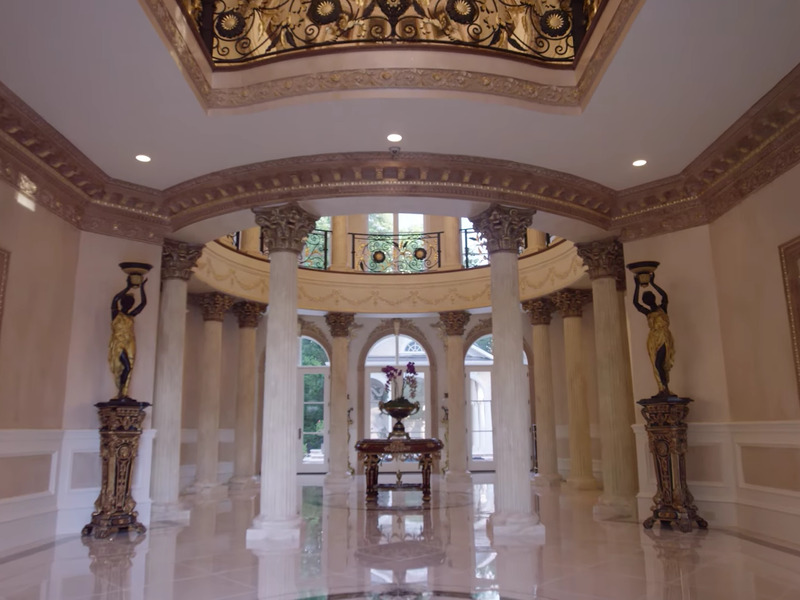 The massive house boasts a home theatre, a sauna, a basketball court, and a swimming pool surrounded by fire bowls and Corinthian columns. Al-Saud has reportedly spent $US8 million while working as ambassador. According to The Daily Mail, he charters a luxury 767 jet that costs $US30,000 an hour. 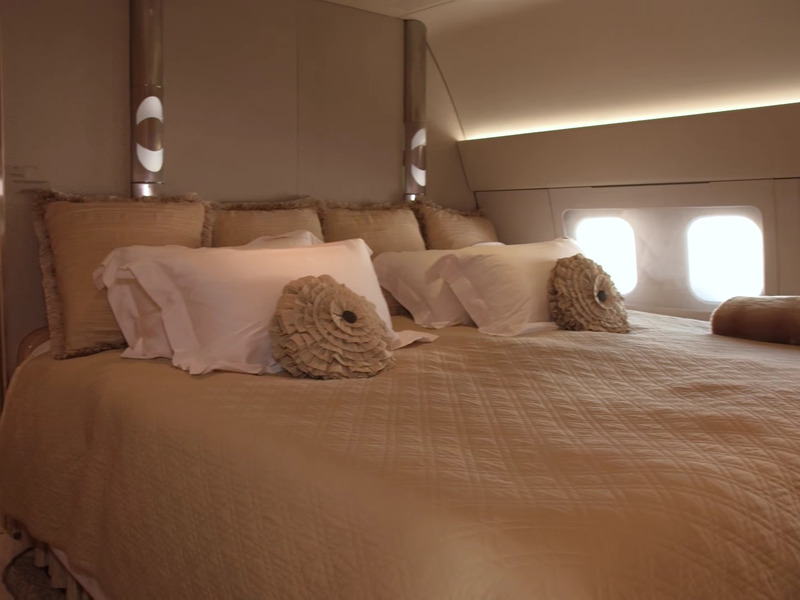 The luxury plane, operated by the Swiss firm Comlux, has 63 seats, an office, and a master bedroom. The plane is currently on sale for $US65 million, according to The Daily Mail. Not everyone is pleased that the royal was selected as ambassador. ‘It’s a sign of the times when the Saudi king suddenly has his children in positions for which they have virtually zero qualifications,’ said policy expert Rami Khouri of the University of Beirut. Qualified or not, al-Saud’s star is quickly rising in Washington and around the world. Twitter/Saudi EmbassyAl-Saud and Henry Kissinger in March.